What a time to be alive! Apparently, Usher is a married man again. According to Us Weekly, the 36-year old R&B star got married to his fiancée and manager Grace Miguel over Labor Day weekend, deciding to secretly elope and then honeymoon in Cuba, eschewing their original plans for a ceremony in Atlanta. Miguel posted a photo on her Instagram of herself and Usher in Havana and you can see a big gold band on his ring finger, so it looks like the reports are true. How romantic! This calls for a revisit to some of Usher's best songs about love and heartache, because he knows the pain better than any of us. Usher is known for wearing his heart on his sleeve, and I bet you probably have fond memories of dancing inappropriately to his smoothest of jams during a middle school dance. If you've never macked with an Usher song playing in the background, put it on your bucket list now. Even though he's wifed up now, the singer still has the catalogue of the best pop and R&B songs that will get you through any kind of heartache. He's put out an impressive seven full albums so far since his baby-faced debut with his self-titled album in 1994. And his real life has been full of relationship drama that comes through in his albums. The world watched him break up, make up, and admit to his faults with Chilli from TLC and his first wife Tameka Foster. His songs are full of soul, atonement for his sins, and accompanying music videos shot in melancholy blue light that reflects off his abs as he dances through his emotions. An underrated track from the Usher catalogue. It's surprisingly sweet! Usher urges us all to seize the moment as he professes to a girl he's smitten with at the club that they do the dirty discreetly — Or not! He says he doesn't care who sees! — literally at the club. There's very little metaphor here, but you have to admire Usher's commitment to feeling good and being straightforward about his intentions. Probably based on several true stories from Usher's life. 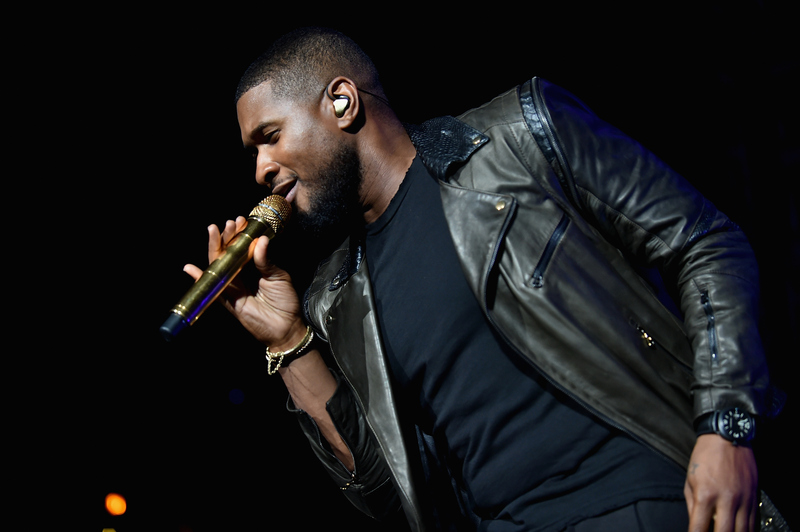 As far as love songs go, "Confessions Part I" objectively should be a bad one — Usher admits that he's been cheating and fooling around, which led people to believe that he was talking about his real-life breakup with Chilli from TLC (she later said in an interview that infidelity was in fact the reason they split). But "Confessions Part I" is just so damn good, and hey, nobody's perfect. Especially Usher, which he makes quite clear on this track. Most people prefer "Confessions Part II," but I think "Part I" is superior. Usher feels vulnerable because he met a woman who turned the tables and now he doesn't know what's going on. Wasn't I stronger than this, he wonders. No way Usher. You're just a soft, hopeless romantic. Only Usher could give us a song that is so intensely emotional and so intensely sexual at the same time. Sadness about being at an impasse in a relationship has never looked so good. In which Usher explains to a girl, for some reason on an elevator at the mall, that he can't be with her, because of her striking resemblance to an ex from whom he had a breakup from which he could never recover. "U Remind Me" is one of Usher's biggest hits to date, and now, the music video itself seems like a sort of foreshadowing. Debuting in 2001, the video features a cameo of his real girlfriend at the time, Chilli from TLC. Two years later, Usher and Chilli had a very sad and public breakup. Sigh. Nothing gold can stay. Look me in the face and tell me this isn't one of the best songs about lost love that ever was. From his album 8701, "U Got It Bad" was a smash. It was so raw and so real, and it still is 14 years later. When his voice goes deep in on lines like, "When you say that you love 'em but you really don't/ Everything that used to matter don't matter no more," a young Usher hits where it hurts and captures the pain of hating yourself for messing up something good. A timeless breakup song for when you gotta face the facts. Hopefully Usher and Grace Miguel can make it through, but if he needs some reassurance or comfort to get him through the tough times, he can always turn to his own discography. Who says he's not allowed to cry to his own tracks? Congratulations, Usher, and thanks for always keeping it smooth.